Feel like you're on vacation everyday! 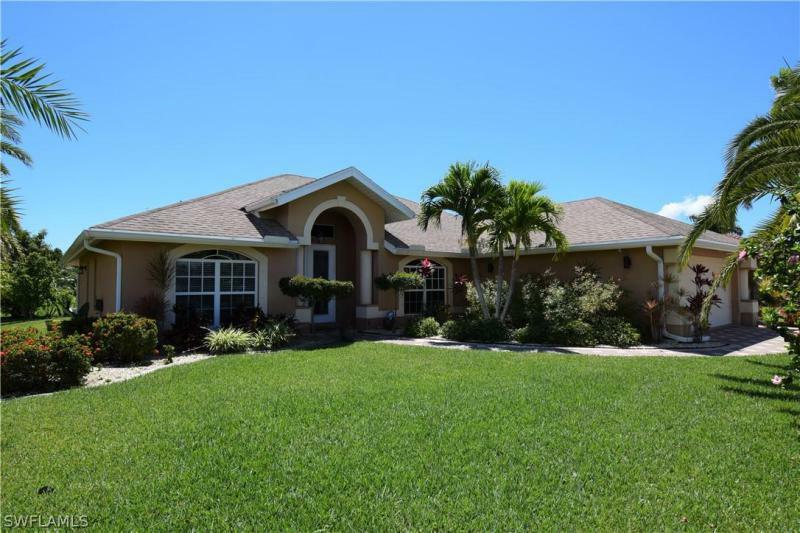 Live the tropical resort lifestyle in sandoval, the best gated community in cape coral! 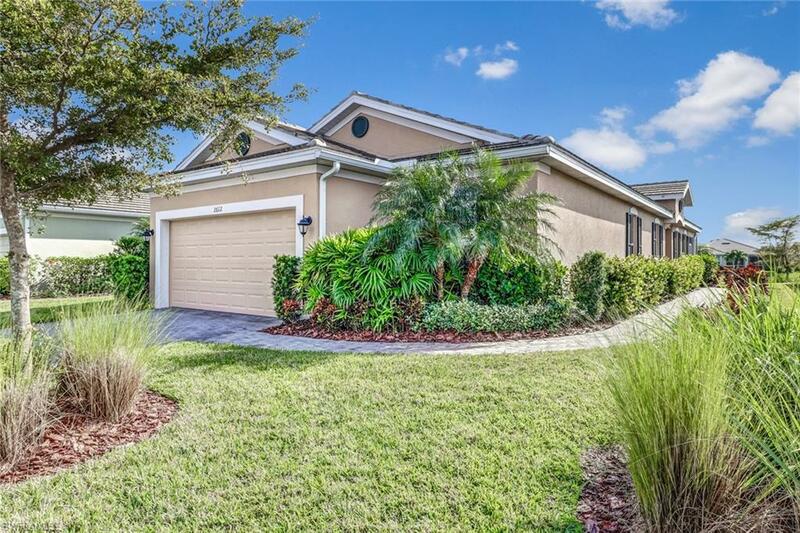 This 3 bedroom, 2 bath home has a private pool with jacuzzi spa overlooking a preserve. Great room floor plan offers kitchen with upgraded kitchen cabinets, granite countertops, pantry, breakfast bar and breakfast nook plus a formal dining area. Master suite features a walk-in closet with custom shelves and drawers, dual sinks, and enclosed shower. 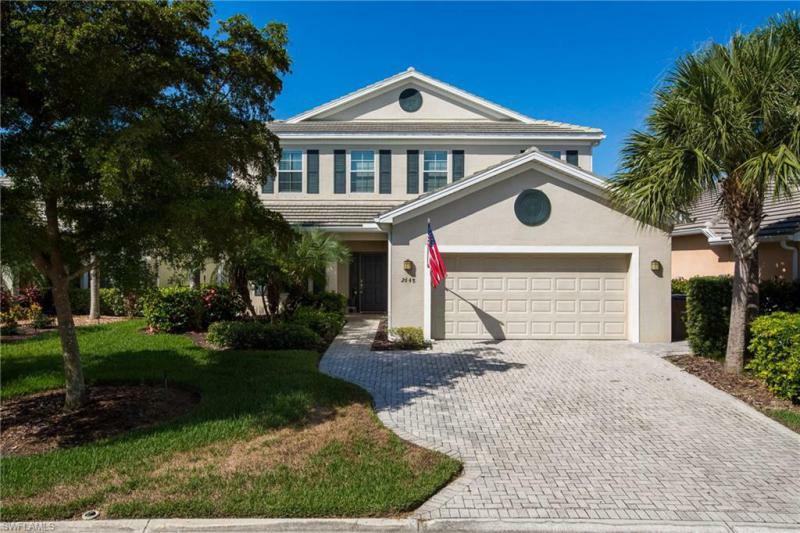 Highlights include intercom system, a screened front entrance, 2-car garage with a/c, tiled throughout most areas with carpet in the bedrooms, vaulted and volume ceilings. Sandoval is highly desirable for its low hoa fees and many amenities such as an award winning resort-style pool with quiet cove, waterslide, and splash area, 2 miles of running/bicycle sidewalks and walking paths, calypso park with grills and covered picnic area, fishing pier and dock, community center, fitness room with lockers and showers, conference center, sand volleyball, bocce, horseshoes, basketball, 4 tennis courts, play area, and 2 dog parks! There is something for everyone! Schedule your appointment today! Custom built by german construction company. Cathedral ceiling with skylights in living area. Open ceilings over kitchen, dining, living areas. All floors are tiled for easy maintenance. Samsung appliances with 2 year full warranty. Exterior and interior has been repainted with behr marquis paint. Oversized pool and lanai area with new screens in the pool cage. Extremely quiet neighborhood with very low traffic. From the pool area the view is a beautiful arthur hill designed golf course, no membership required. Fenced area provides parking for your personal golf cart. Pavered drive and walkway with quaint patio in the front. $5,000. 00 new landscape. -- measurement provided by seller and believed accurate but must be verified by buyer and/or buyer agent. This beautifully maintained home has only been used seasonally by the original owners. Built in 2015, this 3 bed + den southern exposure lakefront home has over $25,000 in builder upgrades. The kitchen features espresso cabinets with granite counters and stainless steel appliance package. The great room layout has no wasted space and offers lake views from every room in the house. Interior upgrades include trey ceilings and crown molding. Outside the extended lanai overlooks one of the widest lakes in sandoval, offering great water and wildlife views. The master bedroom has a large walk in closet, dual vanities with granite counters, and large walk in shower. The laundry room has plenty of storage. Sandoval is a gated community with miles of landscaped walk ways, dog parks, community fitness center and resort style pool. The quarterly hoa fee includes landscaping, tv, internet. Single family home on one of the most desirable streets that includes a second lot comprising45 acres in total. All 3 bedrooms have been completely redone and both bathrooms have new sinks, vanities & toilets with new carpeting throughout except in the kitchen area. The kitchen is huge including a large breakfast area that connects to one of the most spacious laundry rooms as well as a large workshop leading out to the garage. Let's discuss what can be done to incorporate the kitchen that meets your desires! 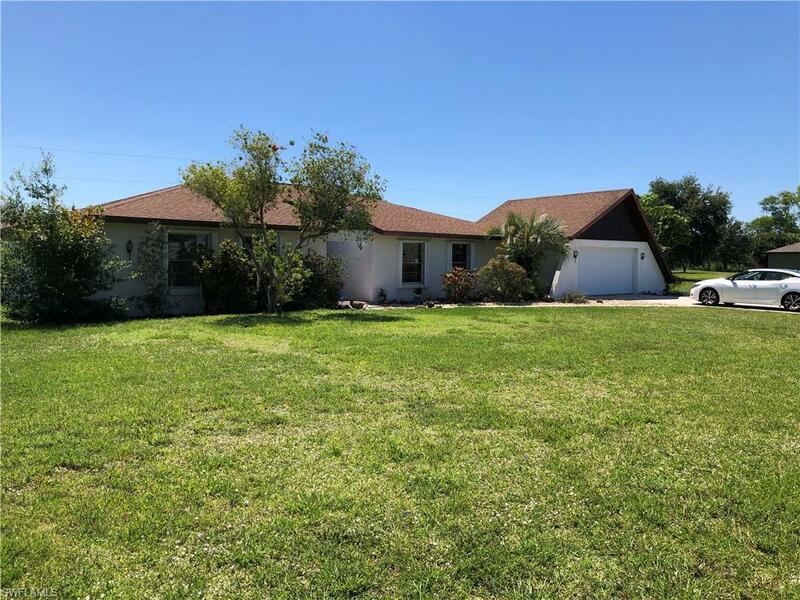 This home has lots of potential for one of the most spacious homes in the area, a great place to raise your family and enjoy everything cape coral has to offer its residents! More pictures to follow.